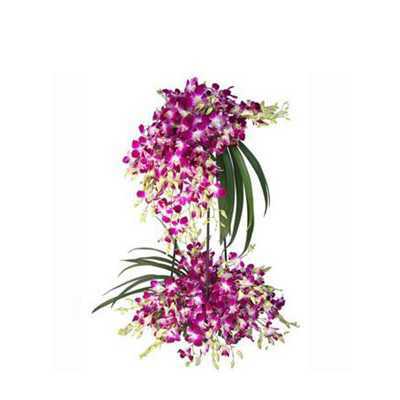 This exclusive arrangement of 20 purple orchids beautifully ensemble with lovely and long green leaves makes for an amazing gift for your loved ones. Regular Delivery:- Delivery Charges Rs. Midnight Delivery:- Delivery Charges Rs. Am really impressed with Flaberry guys for doing such a good work. Afternoon ordering is delivered same day by evening is remarkabelly good job. The flowers were fresh and the setup was really good. Though I have not seen it as it was a gift, the feedback that came in was simply pleasing. Thanks Flaberry for making it memorable. Keep up this good work. Delivering Happiness ... #customerdiaries #flowers #happycustomer #love #nofilter #beauty #flaberry #flower #flowerstagram #bouqet #birthday #anniversary #giftideas #rose #redroses #expresslove #wish #happybirthday #happiness #smiles For more #FlaberryExperiences rooted in farm fresh deliveries, click the link in our bio.